Are you Shopping for a new Subaru or even a quality used/preowned Subaru in Greater Boston, Massachusetts? Well then you owe it to yourself to visit Quirk Works Subaru in Braintree, MA. Quirk Works Subraru is a Subaru Dealer near Boston and one the most respected and best known dealers in MA! As an Elite Member of The Subaru Dealers of New England, Quirk Works Subaru strives to find you the highest quality Subaru models at the lowest possible price. Come See Why We're One of the Fastest Growing Subaru Dealers in all of New England! We're proud to offer all-wheel-drive Subaru sedans, crossovers and SUVs, and our team works hard to ensure that our Subaru shoppers are satisfied and get a great value for their money. If you're already driving a Subaru, but need the right parts to go with it, we also have an extensive selection of Subaru parts in MA. When you visit our Boston, MA area Subaru dealership, you'll find a great selection of used and new Subaru models with proven all-wheel-drive and Boxer engines that can tackle the toughest road conditions. We have everything: the Subaru Impreza and sporty Impreza WRX, roomy Subaru Outback, Forester and Tribeca utility vehicles and the Subaru Legacy sedan. Our friendly, professional staff takes the time to guide shoppers looking for a Subaru near Boston through their options to help them find the new or used Subaru that fits their budget, their needs, and the way they drive. Pre-owned vehicles are great budget savers, and a quality used car can offer a new car experience without the new car price tag. Keeping your used car driving longer is easy, for we offer top-notch Subaru service in MA. Our service professionals know Subarus, so you will feel confident that your car is getting high-quality service and parts. Just minutes away from I-93, our Subaru dealership in Braintree, MA is easy to find at 442 Quincy Avenue. 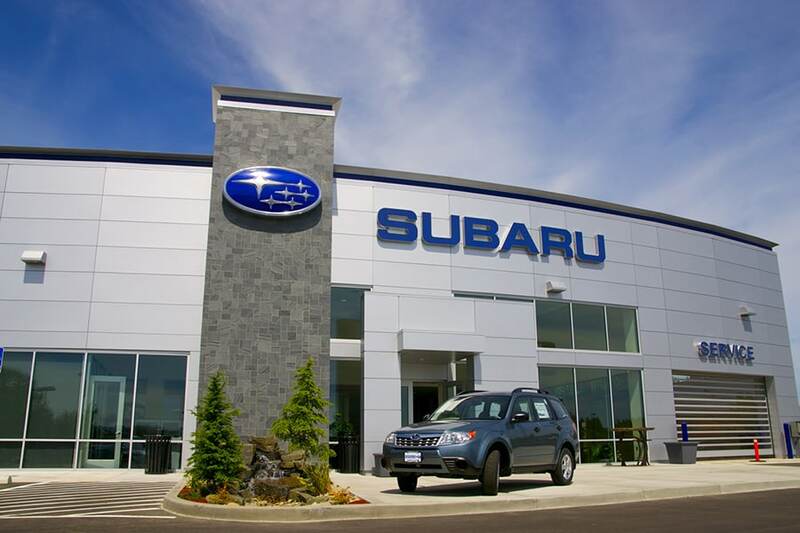 Our sales department is open seven days a week, and Subaru service is available every Monday through Saturday. If you're search for a Subaru near Boston, visit Quirk Works Subaru and see how Quirk works to save you money!